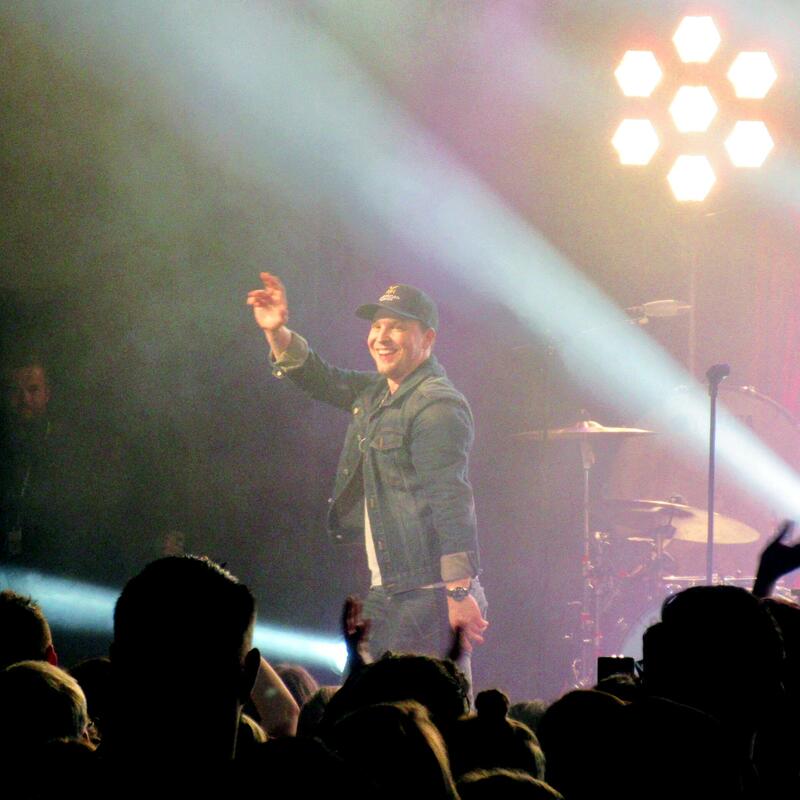 On Oct. 14, Gavin DeGraw brought his Raw Tour to the Commodore Ballroom in Vancouver, Canada. This rare acoustic concert experience, powered by a setlist full of his hits spanning across the last 15 years of his music career, proved that the American singer-songwriter is here to stay with something worth saying. Forgoing an opening act, DeGraw arrived on stage shortly after 8 p.m. and performed for a solid two hours, opening with the title track to his debut album, Chariot, amidst a loud and enthusiastic welcome from the crowd. Throughout the years of his consistent album releases and live gigs, DeGraw has amassed a loyal following of supporters, which was evident from the reactions he received when he brought out fan favorites such as “Follow Through,” the romantic “More Than Anyone,” the sentimental “Best I Ever Had” from Make a Move, and from Sweeter, the vulnerable “Not Over You” and the motivational “Soldier.” Proving his talent and knack for serenading audiences with his gripping and captivating vocals, he brought out the emotions with the country-tinged ballad, “Stealing,” the stunning “Spell It Out,” and a hidden gem from his expansive discography, “Lover Be Strong” from the underrated Free. What distinguishes the Raw Tour from DeGraw’s previous live show ventures is the fact that the tour is acoustic and authentic to the core. The lead vocalist and pianist of the two hours and his band of two musicians, guitarist Billy Norris and drummer Mike Baker, did away with backing tracks and other means of production and relied solely on the instruments on the stage. DeGraw and the guys presented new arrangements of songs — re-imagined, reinvented, and remixed — including stripped down versions of “In Love With a Girl,” “Run Every Time,” and “Sweeter.” His bandmates provided support on the guitar and drums (and bass), while the piano man himself passionately played the ivory keys. By eliminating all the “noise” and focusing on the heart and soul of the melodies, the instruments, and the lyrics, the audience connected with the performances on a more intimate level and uncovered a newfound appreciation for the songs. In addition to the music, DeGraw connected with his audience through his hilarious banter, in which he poked fun at the men in the audience who were dragged to the show by their significant others despite not knowing who he is (Gavin who?). DeGraw is typically described as an old blue-eyed soul with a strong penchant for classic rock and roll, which influences the pop-rock-soul singer’s original music in today’s times. His musical tastes and influences were best reflected in his choices of cover songs rounding out his repertoire. He delivered a rendition of “Won’t Back Down” as a tribute to the late Tom Petty, the legendary Paul McCarthy’s “Maybe I’m Amazed” featuring an electrifying guitar solo by Norris, “Midnight River” by The Allman Brothers Band, and a soul-filled section that recognized the music that sparked DeGraw’s love of music, Sam Cooke’s “A Change is Gonna Come” and Ray Charles “Hallelujah I Love Her So.” He captured the heart, soul, and spirit of the original artists with his own interpretations. Well over 20 songs later, DeGraw closed with the anthemic “I Don’t Want To Be”, best known as the theme song for the television drama, One Tree Hill, a life-changing milestone which propelled him to stardom. It made for the biggest, Instagram-worthy singalong moment of the night. Most artists can only dream of maintaining the same lasting support from their fans as DeGraw has achieved and getting the chance continue to live out the entertainer’s dream of touring and performing to packed crowds night after night. 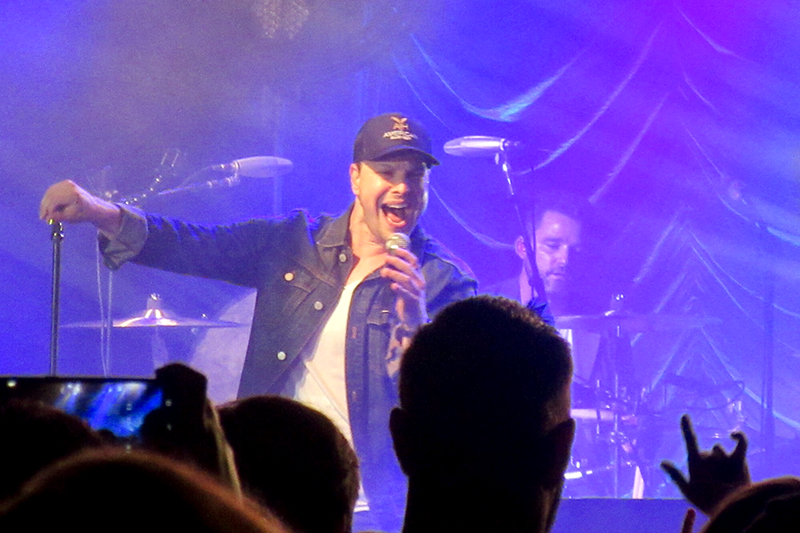 The Raw Tour confirmed this is the case for Gavin DeGraw, and it is truly his finest hour. Gavin DeGraw is currently performing in theatres across the United States and will be completing his Raw Tour in Miami on Nov. 4. For concert dates, visit gavindegraw.com. Images courtesy of the writer.